Make math fun with m and m's! Give each child a small ziploc bag of various color m and m's. 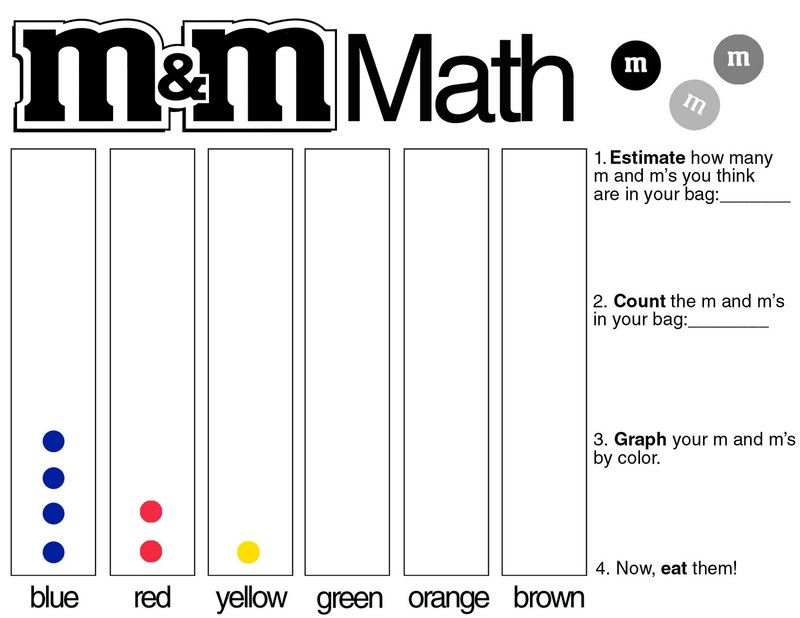 Have them estimate, count, and graph their m and m's. Give kids markers for each color m and m. They will make their graph by putting a dot for each color they have (going vertical).